…and no one hears it, does it really make a sound? If a tree falls in the woods and it doesn’t cost anything, does it really make a sound? If someone violates your copyright and it doesn’t cost you anything, should you be making a sound? Does copyright have any purpose or meaning in situations where the artist’s commercial interests are not threatened? “To encourage a dynamic creative culture while returning value to creators so that they can lead a dignified economic existence”. In other words: to make money from their work so they can make more of it. Copyright was invented to commercialize the production of cultural works so as to benefit those who produce them. Copyright granted a monopoly to the artist for the commercial exploitation of their work. Copyright then, is a legal device which attempts to promote the production of creative cultural works by making them economically self-sustaining. Profit, that great economic motivator which dictates the careers and daily routines of most people, can now be harnessed for the production of culture via the mechanism of copyright. So far there is no commercial market for fractal art in the form in which it appears on the internet. Images uploaded to the internet at best serve the commercial purpose of low resolution samples from which potential customers can go to the artist to buy prints. It’s the high resolution files that have commercial value because only with them can you produce prints. If you just want to look at the images online, that’s free of charge, but if you want to look at them offline like as a print hanging on a wall, you have to pay. You have to pay because you need access to a high resolution file and you can’t get that on the internet. These low resolution images posted to the internet allow artists to exhibit and share their work, for the large part, so far, as a hobby and in the context of an online social network. They don’t allow artists to make money merely by posting them to the internet; to do that they’d have to charge admission to their online gallery and simultaneously restrict access to it. There is no commercial loss to artists when their images are reposted elsewhere on the internet because no artist anywhere charges merely for viewing their work. In fact, if a proper link is provided, one can argue that reposting artwork serves only to benefit the artist commercially by increasing online access to it and thereby increasing their audience and subsequently the potential market for their work. 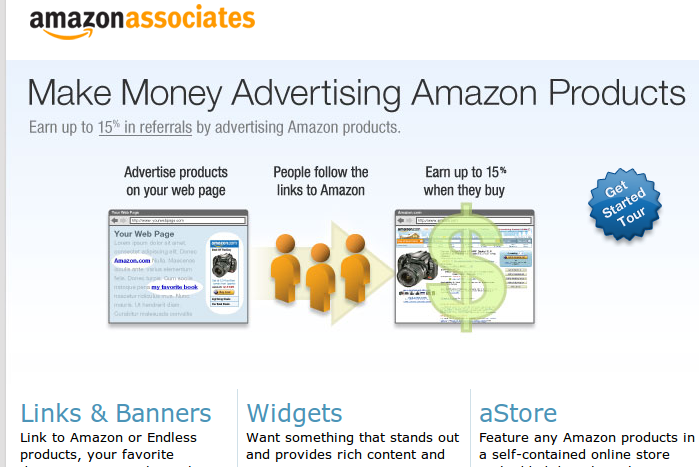 Amazon Associates Referral Program by Amazon.com Oct 19, 2010. Click to visit site. Images posted to the internet are in an environment where copying is not just easy, it’s trivially easy. In fact, copies of them are made by the viewer’s web browser for everything they look at and stored in their browser’s cache automatically, whether they want them there or not. I said, “for everything they look at” but if you look through the file folder used as your browser cache you’ll probably also find some images you didn’t even notice while you were browsing; that’s how trivial and common the act of copying is on the internet. I don’t know of anyone who actually sells the low-res digital images they display on the internet; I don’t see anyone actually trying to do this. I do see other types of digital images being sold and it’s theoretically possible for fractal art to be sold that way too, but I’m not sure how much success fractal artists (or any artists) would have selling desktop wallpaper images or stock images for websites or electronic publications. Outside of print sales, which require high resolution image files that are rarely posted to the internet, fractal art images found on the internet have no significant commercial value and therefore the copyright protection which they hold is virtually meaningless (no pun intended) in such a non-commercial context. Money is the backbone of copyright. Without it, copyright literally can’t stand up. Instead it becomes some misshapen and dysfunctional thing squirming about on the floor making strange gurgling and terrifying noises (so to speak). Did your mother ever tell you to put your name on something before you take it to school to show everybody? Well, she’d probably tell you to put your name on your fractal images before publishing them on the internet. That way you’ll always be assured of attribution and at least a “visual” link by which interested viewers can google your name and find your site. Large images might be resized so consider making your name large enough that it will still be readable if the image is reduced to a size in the neighborhood of 300 to 400 pixels. 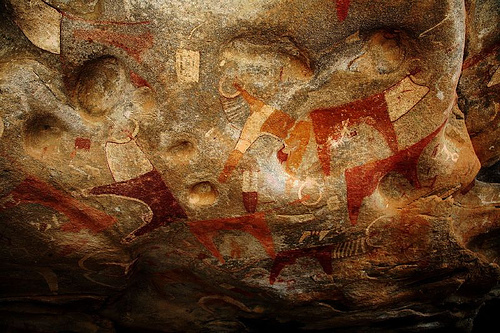 Cavemen didn’t sign their art; but if they were alive today they would. Although the internet may not seem like a new thing to anyone anymore, it’s still developing and is only gradually becoming incorporated into the deeper structures of our culture and society. Laws are probably one of the most complex aspects of our culture and the medium in which politics and social power are most intensely expressed. Even stupid laws are the result of very careful complex social and political negotiation. Small changes to the social and political environment of any country often results in changes to its laws or in the creation of political pressure to make those changes. The internet has brought about many changes to the world and nowhere have these changes been as extreme as in the area of publishing. Publishing is done differently on the internet and naturally laws which were designed for an offline publishing environment won’t always achieve the same intended results when applied online. 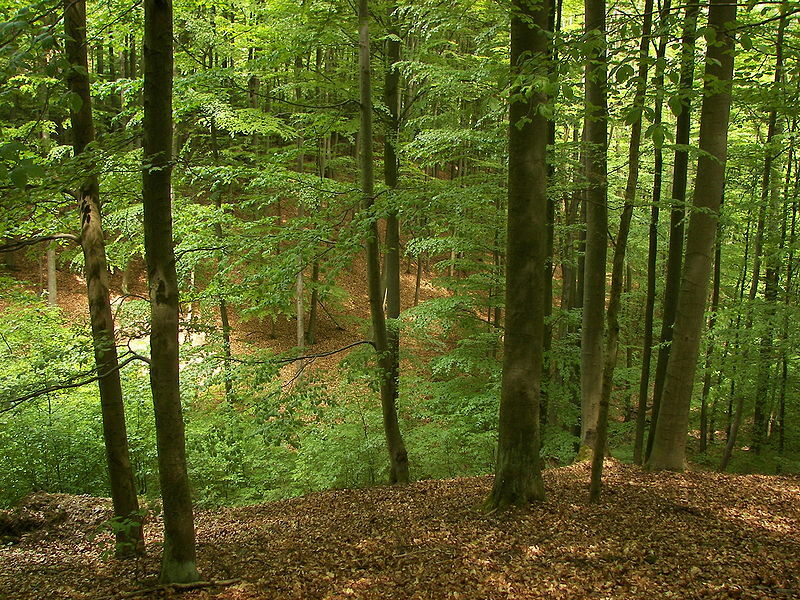 Continuing my analogy… when trees fell in the offline forest (i.e. they were copied) the event was almost always one of commercial significance because offline publishing is expensive (print, television) and almost always had to revolve around making money in some way, if only just to exist. But today, when trees fall in the internet forest, the event rarely has any commercial impact because a good deal of internet publishing (posting, uploading) is for fun or other non-commercial, amateur purposes. Sure, there’s people on the internet cutting into the profits of film and music companies through file sharing, but if you look at what goes on elsewhere on the internet it’s a completely different situation because all of that internet activity is happening outside the context of any potential or actual commercial market for what is being viewed, up- or downloaded. Accusing people of stealing amateur internet content makes about as much sense as calling your insurance company to tell them your car has been downloaded. Copyright takes on a different meaning when it’s applied to amateur, online communities like the fractal art world. Traditional copyright law was drawn up for very different situations. It doesn’t make sense to respond the same way to seeing our artwork on someone else’s website as we would if it was being used for the cover of Time magazine. With regard to the trivial nature of downloading, anyone who uploads to the internet should know this. Sadly, many do not. If there is something so special that it might have some commercial value, don’t put it out there. It really is just as simple as that. I too agree with most everything you say but there is also the additional problem of the variability of copyright legislation between Nations. In reality, of course, defending any such rights in court is an expensive business and attempts by amateurs to do so would soon show the exercise is less than sensible. As to the commercial value of a work, fractal or otherwise, this is proved by time and possibly by the development of markets/outlets currently unknown. Things will change but I know not how or when. Fractal images uploaded to the Web at their best have the quality of originality which has little or nothing to do with the low resolution of the uploaded image. This originality might, for instance, be usurped by copying the image in oils, acrylics etc, onto canvas. Indeed some artists have for some while now followed such a course of action in relation to their own digital work. The design is thought through on the monitor screen, and the result copied into some other medium, though most fractals aren’t amiable to this approach due to the density and colour-complexity of the original work. I may be wrong but is not the Orbit Trap blog essentially an amateur affair to the extent there is no commercial outlet. If so I do not see there is much reason to object if individual works are highlighted for critical purposes in some way provided a due acknowledgement (and link to the original) is given. It would be even nicer if the artist/author is consulted beforehand or at the least for them to be made aware of the usage. Renderosity follows the later course when selecting images for their Weekly Fractal Window etc (I’ve reordered the words in their title as my interpretation seems more expressive of intent), but the implied criticism from the selection cannot be seen as other than favourable.